There is something to be said about the freedom that a rented car can afford a traveller. We absolutely love travelling around on funky public transport and getting to know the locals in trains, buses, cars and coaches, but once in a while it’s nice to rent a vehicle and have the freedom to explore a country at your own pace. We’ve rented a car in many countries and find it to be one of the most rewarding ways to travel around. It gives you the ability to stop when you want, sleep where you want and really take your time. Buses hardly ever go exactly where you want them to, and even when they do, they often stop at every little one-horse town along the way. 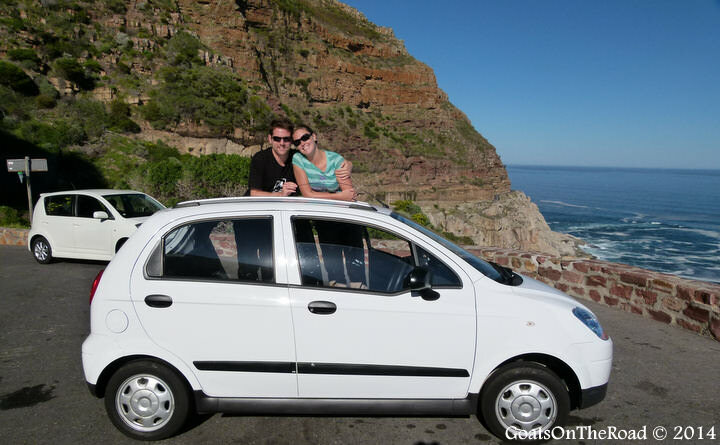 We had our little Chevy Spark for 5 weeks in South Africa and it really felt like our own car by the end of our trip. We were quite sad to finally say goodbye and hop on a public bus to our next destination. These days you can find great prices on car rentals online, and sites like CarRentals.com can save you a bundle on long-term rentals. Ordering online can help you find your favoritesupplier. We’ve found that just showing up at the airport and looking for a rental doesn’t work nearly as well because you end up paying more than you would online. Also, if you don’t reserve a car before-hand, you never know what you’ll end up with! Sometimes all of the good cars (or all of the cars in general) may be spoken for and you’ll be out of luck. After you’ve rented the car, make sure you are present for the walk-around. Some rental agencies are less honest than others and they’ll try to ding you for any scratch, scuff or scrape on the car when you return it, even if it was there before. It’s a good idea to ensure that your insurance covers flat tires, broken windshields and basic wear and tear. 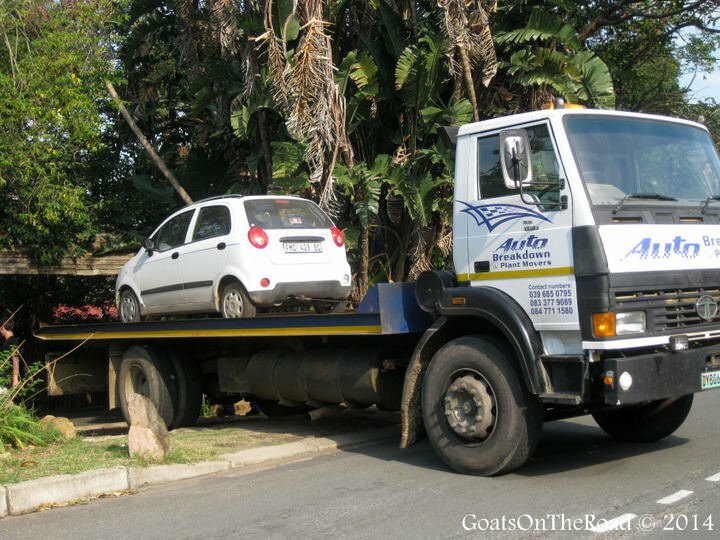 Some of the more established companies should offer free towing and advanced insurance plans may come with complete roadside assistance. Make sure you check with the rental company before booking your vehicle. 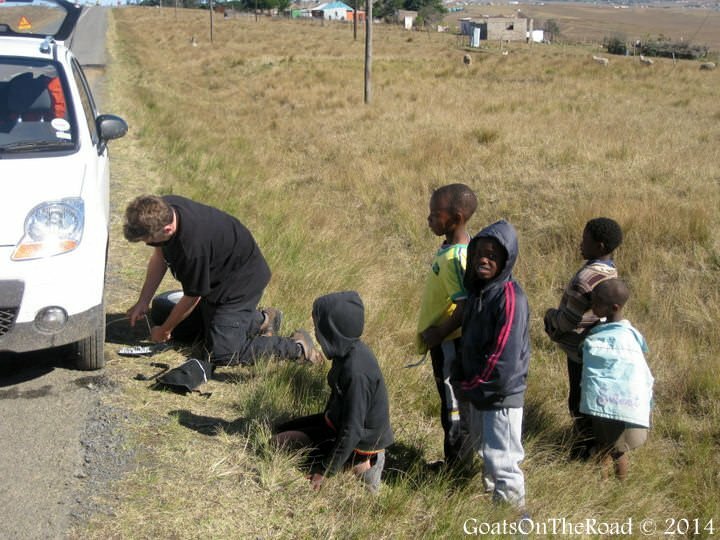 our little Chevy had a flat tire…and we were out of spare tires! Also, find out what fees will be applied if you are given road traffic tickets. Some companies will nail you with hefty fees on top of the cost of your speeding / parking / drunk driving tickets (hopefully you’re responsible enough to not be charged with the latter). Make sure you know the local laws and road regulations before you decide to drive in any country. Keep in mind that you may be driving on the other side of the road and the other side of the car as well! This can take some time to get used to. Check the road and night safety for your planned itinerary. There are places in South Africa where it’s so dangerous to drive at night, for fear of carjackings, that it’s actually legal to run red lights after dark! It’s probably best to avoid these situations altogether and just have your car parked by sundown. Do you know how to change a flat tire? You may want to have a lesson before you head out across the Australian outback on a 2 week driving trip (click here for a quick how-to video). Make sure you can do minor maintenance on the car and if you’re driving on dangerous roads or for long periods of time, it’s always best to have a friend with you to share the workload. Pack a first-aid kit. Most rental companies are not going to include an emergency bag in their cars. The only thing that you’re likely to find in the trunk is a spare tire and tire iron (make sure you check to ensure they’re there). It’s always a good idea to pack your own emergency bag. Include lots of water, some non-perishable food items, a knife and lighter or matches. You never know when you’ll be in a bind so it’s always best to be prepared. 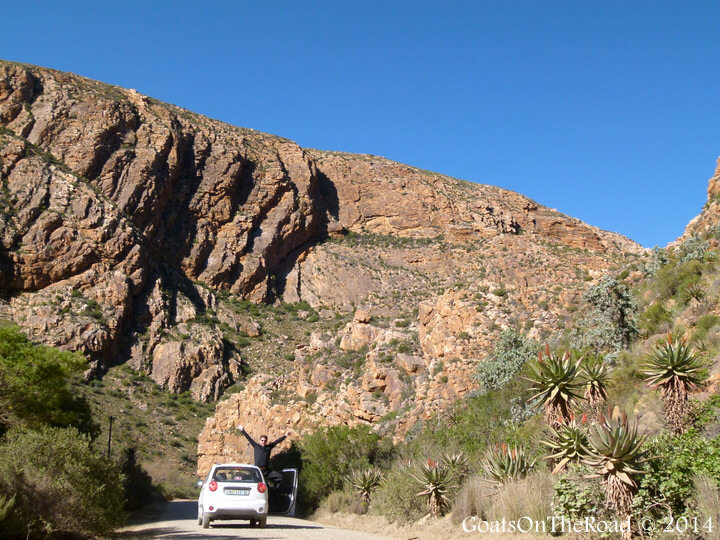 South Africa: In our experience, there are few places in Africa worth renting a car due to bad roads and high crime-levels. South Africa however, has mostly good roads and is a wonderful place to rent a car, but definitely don’t drive at night. Australia: This country has always been a car rental mecca but even more popular is the idea of renting an RV or campervan to travel around in. We’ve always wanted to drive a campervan across Australia. Europe: We rented a car in Greece and had an absolute blast! The roads are in great condition, driving is safe, it’s easy to navigate and there are some beautiful drives. Greece and many other parts of Europe are great for car and RV hire. 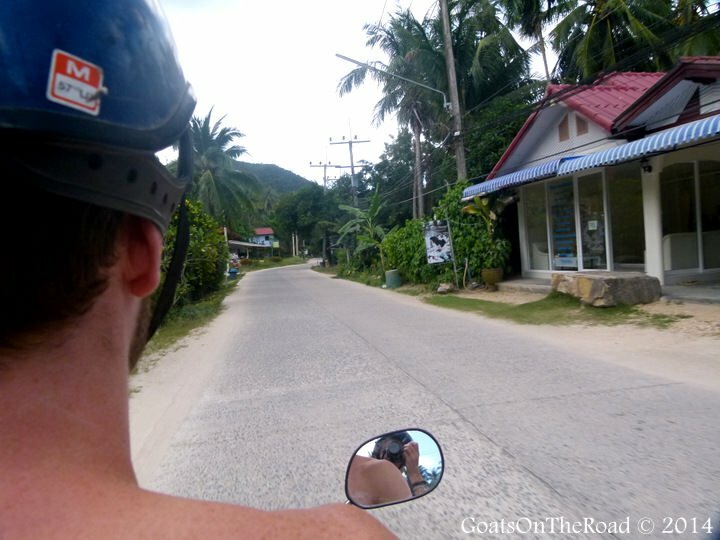 Asia: Most of Asia is excellent for renting a car but we find that it’s cheaper and more fun to rent a motorbike on many of the southern islands around Thailand, Vietnam, Indonesia and the Philippines. Renting a car in Asia is doable, but we prefer motorbikes! The Americas: Another car hire mecca, there’s no better way to travel across Canada, down the Oregon Coast, through Mexico and into Central & South America. There’s no shortage of good roads, cheap rentals or roadside mechanics in North America, but these may dwindle as you get further south. The Middle East: Many countries in this part of the world have fantastic roads, cheap car hire and cheap petrol. We rented a car during our time in Jordan and in Lebanon. It’s a great way to see small countries. Many people are afraid to travel to the Middle East, but we felt 100% while we were there and the locals were great at helping with directions. There’s no doubt that car rental fees can add up, but if you book in advance, online, you’ll find that you can usually find a car for around $20US / day, and sometimes even cheaper if you rent long-term. Keep in mind that fuel costs are incredibly varied across the globe so budget anything from 50¢ to $3US / liter! On top of gas and rental costs you may have to pay more for insurance, maintenance and any tickets you acrue on your journey. All-in-all, if you’re not travelling too fast, you should be able to keep your rental car costs down to around $40 / day including gas, insurance and rental fees. 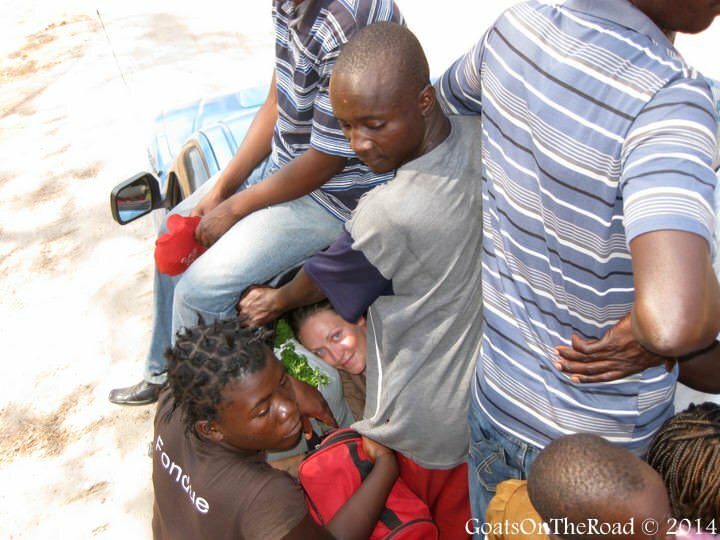 Load the car up with 4 adventurous travellers and you can rival public transport costs. 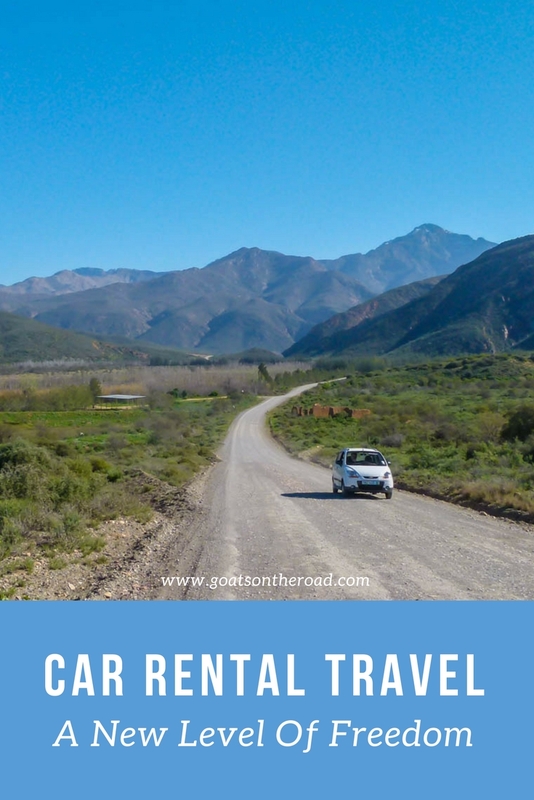 Car Rental Is A Great Way To Travel! Some of our best travel experiences have, come from our amazing road trips where we had nothing more than our bags, a map and a stylish little car. Navigating a country on your own is exhilarating and we definitely recommend everyone try car rental travel at least once. Do you rent cars when you travel? Any tips you would add to this list? Share with us below! I agree that it is sometimes better to rent a car when traveling. I rented one when in Spain and got hassled by the locals for not wanting to use the train system. Since there were three of us traveling together, it was WAY cheaper to hire a car! You got hassled by the locals for not wanting to use the train system?! Wow. Spain would be a great place to rent a car for sure! And you’re right, it makes sense to rent one if you have 3 or 4 people, for sure! Agreed! That’s the best about a car. Stopping for small sights that a bus wouldn’t be able to stop for…going to the bathroom when you want, stopping for food whenever, etc. It’s all good! 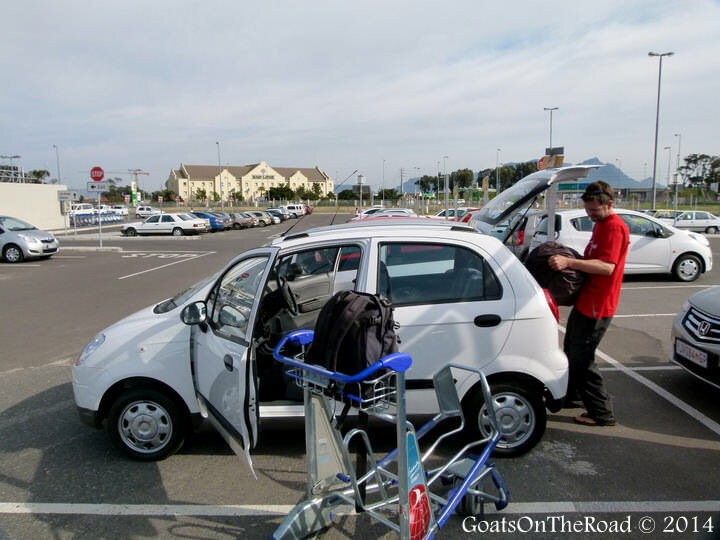 I have never rent a car, but I traveled extensively in Europe with my van. It’s the best way to travel with absolute freedom. You can go to hidden beaches, small villages, travel whenever you want, take a nap if you feel like it. If you carpool with other travelers, the costs can get significantly reduced. We do love meeting locals and a great way is on public transport, but it’s so fun having a car sometimes! While I’ve been making the best use of public transport now that I’ve been back in Canada, the time will come where I’ll need a car to see the sights. Any traveler coming here should do it at least once in places like BC or Alberta to see the jawdropping scenery in remote places not served by the Greyhound! Because of my husband, we always go for the rental option where possible. It’s about comfort as much as convenience for him. Totally Agreed with you! Its all about the FREEDOM. Renting a car is the best option because it gives your absolute freedom. Rental cars gives the freedom to stop wherever you want and and go where ever you need. So fun! Hmm, I’m not sure about Kyrgyzstan to be honest 🙁 We just used shared taxis and buses there. Sorry!